It's finally denim jacket weather again, I shall rejoice and revel in the arrival of this great season. I feel I have been starved of its denim glory all winter, there's something about an oversized denim jacket which just screams *wear me* with every outfit, maybe I'm just drawn in by the 'cool' vibe it seems to emit. There's no surprise then, that this has been my go to outfit in recent weeks - I've found it works when you're not quite sure what to wear, be it due to the temperamental English weather or the classic floordrobe moment that leaves you in despair, scrambling for some sense of a pleasing outfit - the denim jacket saves all. Love that denim jacket ! Your outfit is on point! I'm doing a giveaway over on my blog, it'd be awesome if you went and checked it out!! Love a denim jacket, you look fab! Ah you look awesome, this is a very 90s grunge inspired outfit and I love it. Oversized denim jackets are always gonna be a fave of mine as well! 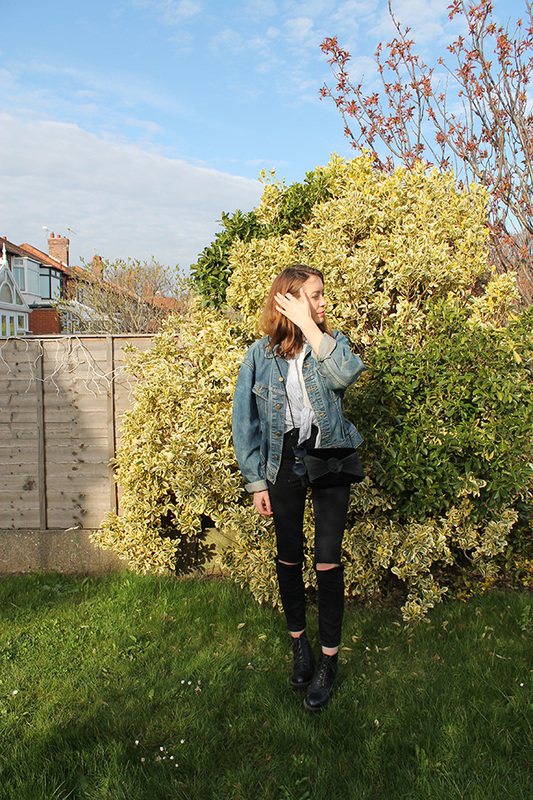 I do love a good denim jacket, and this entire look is just perfect on you! I am in love with everything about this outfit, especially your jeans and sunnies! A denim jacket is a great way to add that grungy, cool-girl vibe. Great post! obsessed with this, your style is perfect! Absolutely love this look! 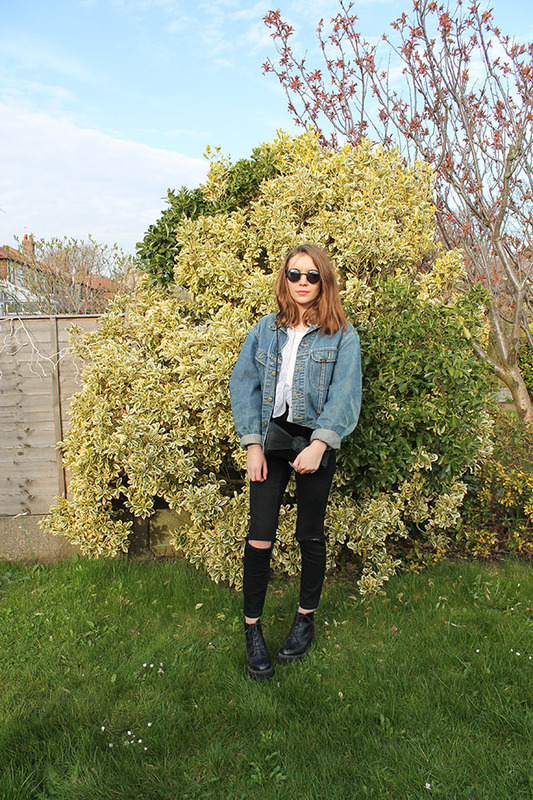 The denim jacket is perfect with the sunglasses and shoes! Love tis outfit, it has a nice grunge style to it which I love! I love that jacket, I think I need to invest in a denim jacket myself for summer. This looks lovely! Love the denim jacket!